United States Secretary of State Mike Pompeo announces the designation of the entirety of Iran's Islamic Revolutionary G as a Foreign Terrorist Organization (FTO), effective April 15. This will be the first time the United States has designated a part of another government as a terrorist organization. 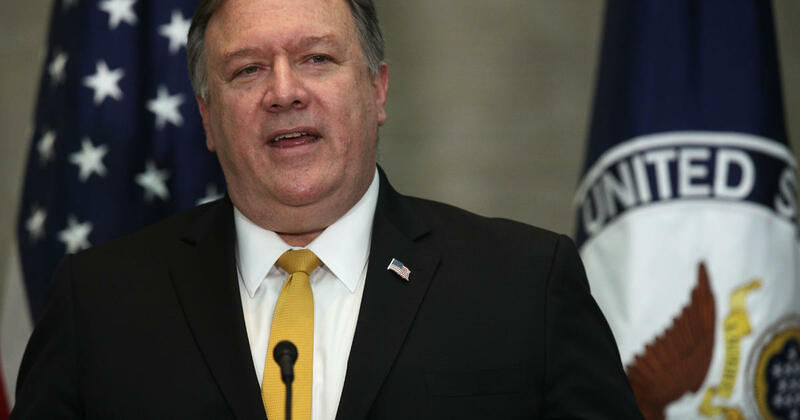 2018-10-3 U.S. Secretary of State Mike Pompeo says that the United States is terminating the 1955 Treaty of Amity with Iran. 2018-05-30 Top North Korean official Kim Yong-chol meets with U.S. Secretary of State Mike Pompeo in New York City to discuss the summit set to be held in June. 2016-04-10 The Foreign Minister of Iran Mohammad Javad Zarif says that the country's missile program would not be up for discussion. This comes as United States Secretary of State John Kerry said last Thursday that the United States and its allies would only address Iran's concerns in the region if it makes it clear to all involved that it was prepared to cease provocative ballistic missile launches and tests. 2009-07-22 U.S. Secretary of State Hillary Clinton warns that it could arm its allies in the Gulf and extend a "defense umbrella" over the region, if Iran goes nuclear.